J and I were totally on the same page when it came to Saturday night dinner. Before I left work, she called and asked if I was in the mood for pizza. I’m always in the mood for pizza. 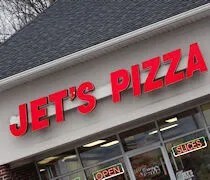 I figured she would just order Cottage Inn, but she said she was craving Jet’s. In a strange coincidence, I kind of was too. The closest Jet’s to us now is the one on Stadium Drive. The other two area locations are in Portage and Gull Road. Like most Jet’s locations, the Stadium shop is in a small strip mall. It’s kind of a weird set up with the cash register around the corner when you walk in. The kitchen takes up the bulk of the space and there’s no sit down area. I told J to call the order in about a half our after we talked which means I would be about a half hour from home. Since I was already out, I told her I’d just pick it up. Being a Saturday night, I figured that would be quicker than waiting on delivery. I was actually a little surprised when I got to the counter and gave the guy my name. He only grabbed one box from the warmer and my bill was less than ten bucks. J usually orders some kind of bread sticks or dessert pizza, but she passed this time going just for a square pizza with pepperoni on half. 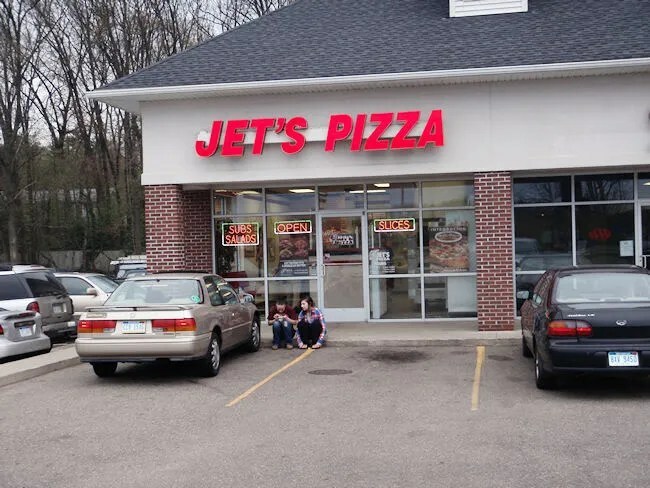 I’ve mentioned this is past reviews of Jet’s, but the reason we like the place is the Detroit-style square pizza. In my mind, that’s what makes Jet’s stick out from the other delivery chains. The crust is very buttery and crumbly. We’re not usually deep dish fans, but this pizza is the exception. 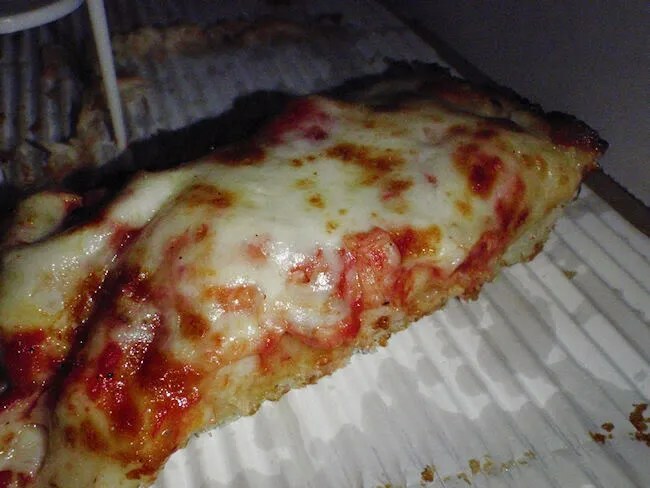 We fell in love with Buddy’s Pizza when we took my family there one weekend and Jet’s is the closest to that we can find on this side of the state. It’s not as good as Buddy’s, but it’s at least in the same style and it’s pretty tasty.